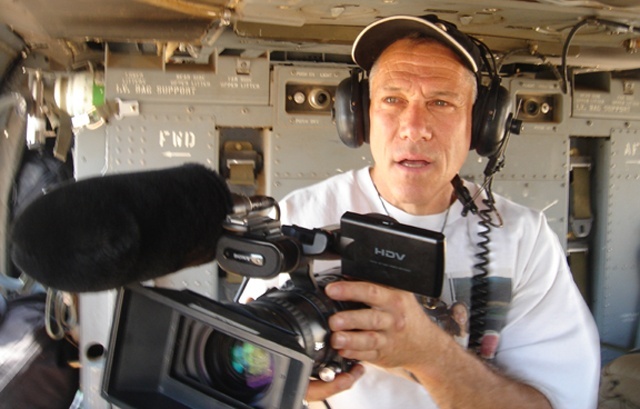 Guests include DCTV's Co-Executive Director and documentary filmmaking journeyman Jon Alpert who discusses the documentary resource center's latest exciting project, "Our Cameras, Our Stories". The project is a series of documentaries made by the members of their youth filmmaker program. The 6-part series will broadcast on WNET Channel Thirteen beginning Saturday, October 4th at 1:30 PM and continue for the following 5 consecutive weeks. "The Decent One" filmmaker Vanessa Lapa chats about her feature documentary, her first, which is something of a hybrid. The film has actors reading the letters and diaries of Heinrich Himmler and his wife, which creates a strange dichotomy between this seemingly loving father & husband, and the man who is considered the architect of the Final Solution. The film has currently having a two week theatrical engagement at Film Forum in NYC and is being distributed by Kino Lorber. Finally, the co-directors behind the new hybrid film, "Last Hijack", Femke Wolting & Tommy Pallotta stop by. Their film which uses components of narrative filmmaking, documentary & animation, tells the story of Mohamed, a Somali pirate.